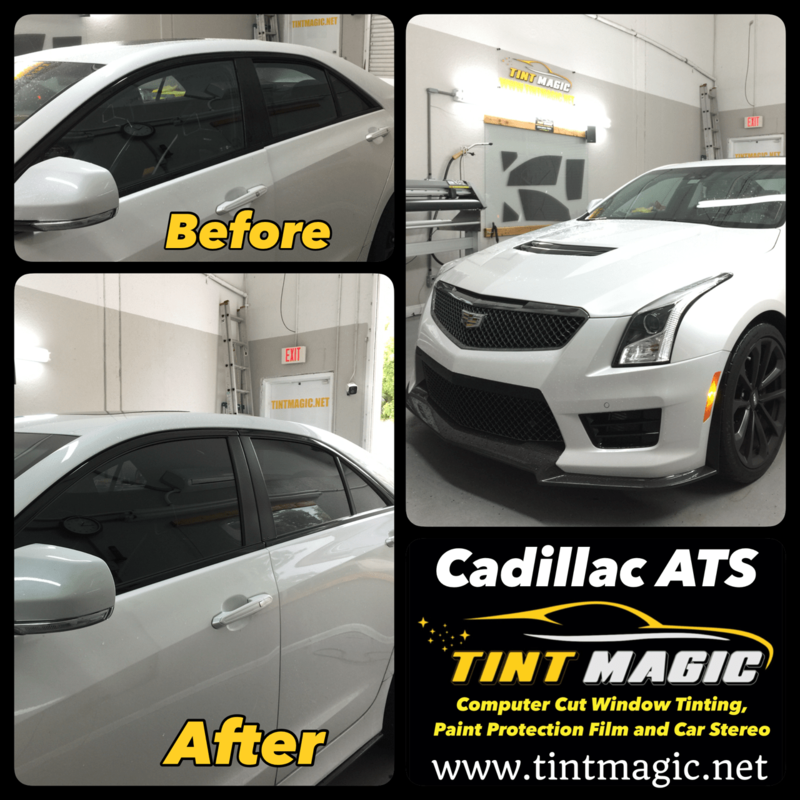 Cadillac ATS Window Tint at Tint Magic Window Tinting Coral Springs. Call us for the best quality and service! (954)840-7883. we are located at 11344 Wiles Road Coral Springs, Fl 33076. The ATS Sedan strikes a perfect balance of power, control and precision. One of the most powerful 4-cylinder turbocharged engines in its class meets refined handling innovations to deliver thrills around every turn. Two potent powertrains. The standard 2.0L Turbo offers 272hp and 295 lb-ft of torque, making it one of the most powerful 4-cylinder turbo engines in its class. The available 3.6L V6 engine offers even more exhilaration with 335hp and 285 lb-ft of torque. The ATS 8-speed transmission delivers incredibly fast, efficient and refined gear changes. At the same time, the innovative Automatic Stop/Start feature temporarily turns the engine off in certain conditions for fine-tuned efficiency. True stopping power. Class-exclusive Brembo®front brakes, originally developed for V-Series, offer powerful braking performance and consistent pedal feel in the ATS Sedan for superior peace of mind. An intelligent shift. Available Magnesium Paddle Shifters2 on the ATS Sedan allow you to effortlessly shift through the automatic transmission gears, helping to keep you in total control of every shift.